Hello! 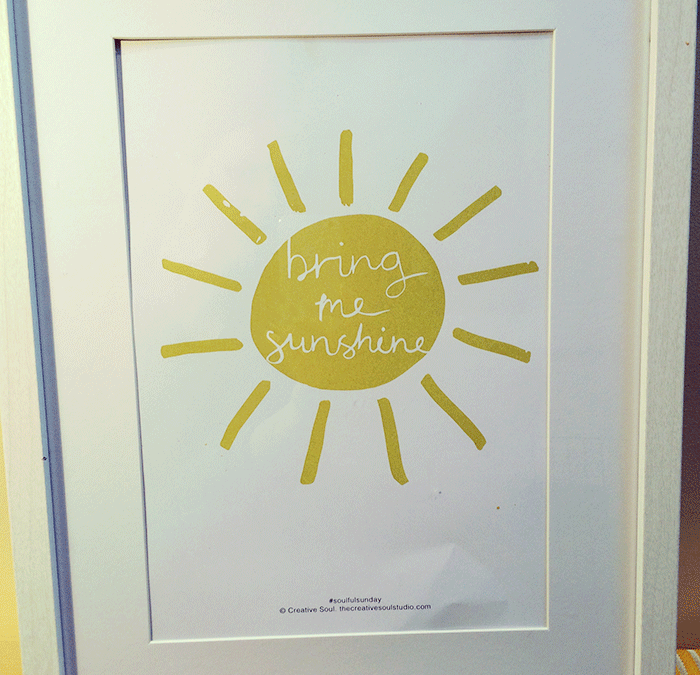 This is the fifth free #soulfulsunday printable – Bring Me Sunshine! This quote and illustration came to my mind this week after the Brexit result and also as since then it seems to have been raining here in the English Lake District! A bit of a gloomy week so I thought why not design a bright little illustration to cheer myself and everyone up. My two young boys are my sunshines and they brighten my days – what brightens your days? Stick this up on your wall or give it as a card to someone to remind them to bring sunshine into their lives, whatever form that may take. If you’d like to download this free printable then pop your details in the form below and you will receive it straight it straight to your inbox and join the #soulfulsunday club where you will receive them every fortnight. Enjoy lovely people!